Do you ever have one of those products that you see, you want, but you know you shouldn't buy because 1. you don't really need it and 2. you don't have the money? 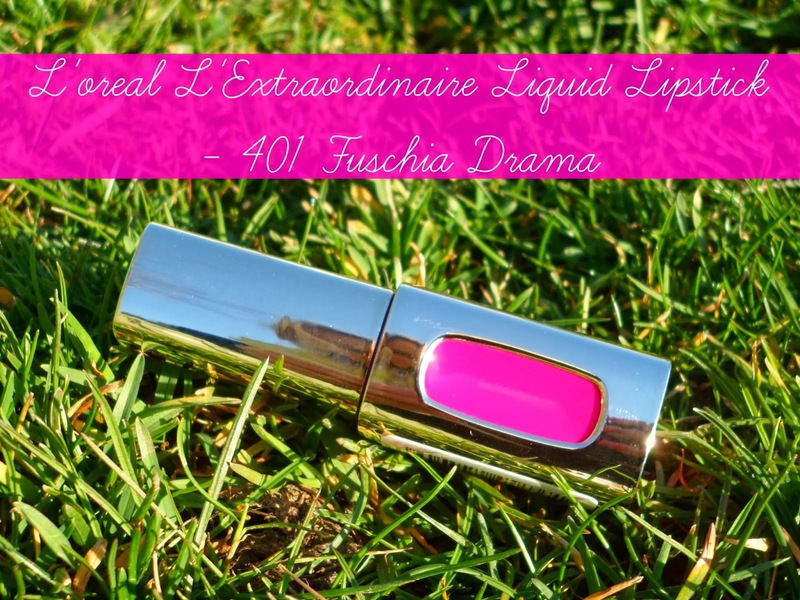 This is one of the new L'oreal L'Extraordinaire Liquid Lipstick by Color Riche in the shade 401 Fuschia Drama. Like I just mentioned these are NEW lipsticks from L'oreal and they are a little different to anything else they sell because they are liquid lipsticks. These are an oil-based product which come out super pigmented and smooth - the swatch I tried our in store had me sold! Now this wasn't the only shade that I have been lusting over in this new collection but I thought buying one was bad enough so I narrowed it down to just my favourite of the bunch! 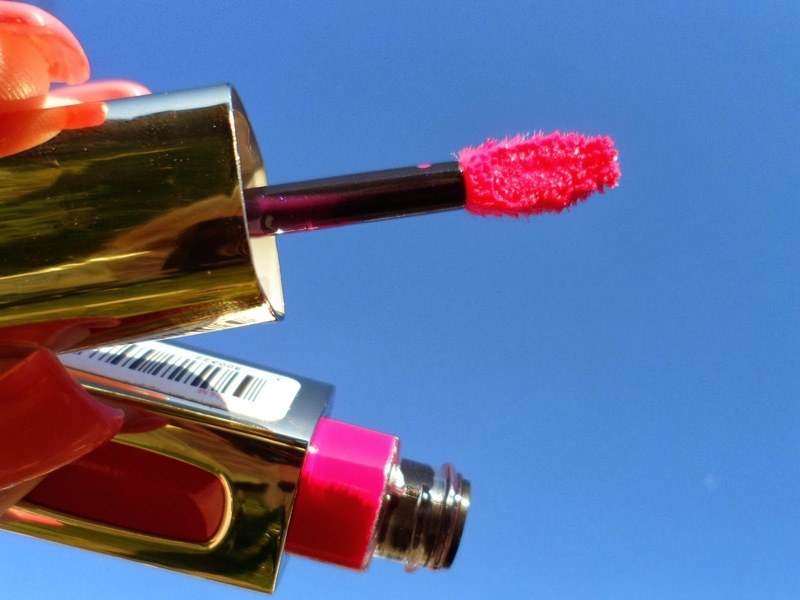 This is a gorgeous bright Fuschia shade (hence the name) and we all know how much Kirstie loves her Fuschia shades! First up I have to say.... hello sunshine! I was so happy this past weekend to see that beautiful ball of fire in the sky - number one reason ...better photos for the blog yay!! I love that this has a soft doe-footed applicator - it is the perfect shape and size for a quick, neat and easy lip. The product itself is so smooth and creamy with great pigmentation! It really does feel as soft as a balm and on the lips looks just as thick and opaque as a lipstick but also super shiny just like a gloss! It has a lovely fruity scent which I love (I think it's the oils!) 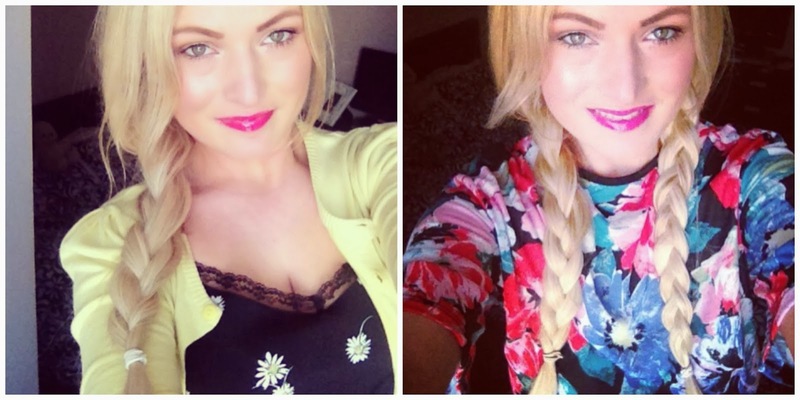 - there nothing worse than a gloss type product that either has no scent or a horrible one, so top marks for the L'oreal! The only thing I would say was that I don't think this has the greatest staying power, personally I've had better (like Apocalips) but it's so easy to reapply and you only need one swipe to get a good colour. I'm loving this product, it is so great for an everyday lip - the softness of a balm, the shine of a gloss and the colour of a lipstick, I'm so tempted to invest in some more of the colours now - but I must be strong for the spending ban! 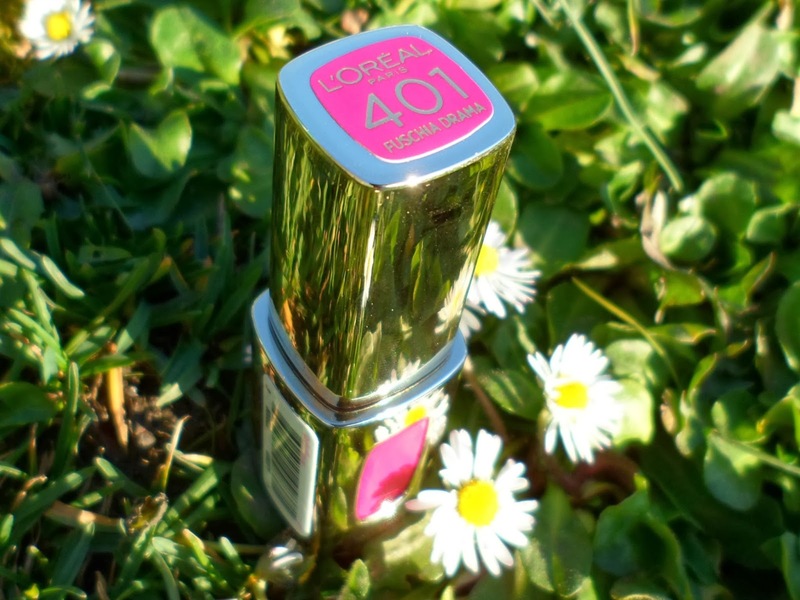 Have you guys tried out these newbies from L'oreal yet? I love these they are great for everyday use! Great pics & I am also excited that we get to see GRASS now! Hello Spring! LOVE this color! So perfect for spring! I just bought this shade last week! I love it - so fresh for summer. I also have Coral Encore which is lovely. Tempted to pick up some more.